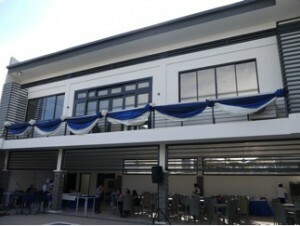 AMOSUP and the All Japan Seamen’s Union inaugurated their own Davao Activity Centre last 27 February. Davao City mayor Rodrigo Duterte and ITF acting general secretary Stephen Cotton were in attendance as guests of honour in the inaugural rites of the two-storey complex. The Davao Activity Centre provides recreation facilities for members and their families like swimming pool, gym, kids’ room and a multi-purpose hall that can accommodate 180 persons.